I'm thrilled to announce my collaboration with Mattie Luxe. 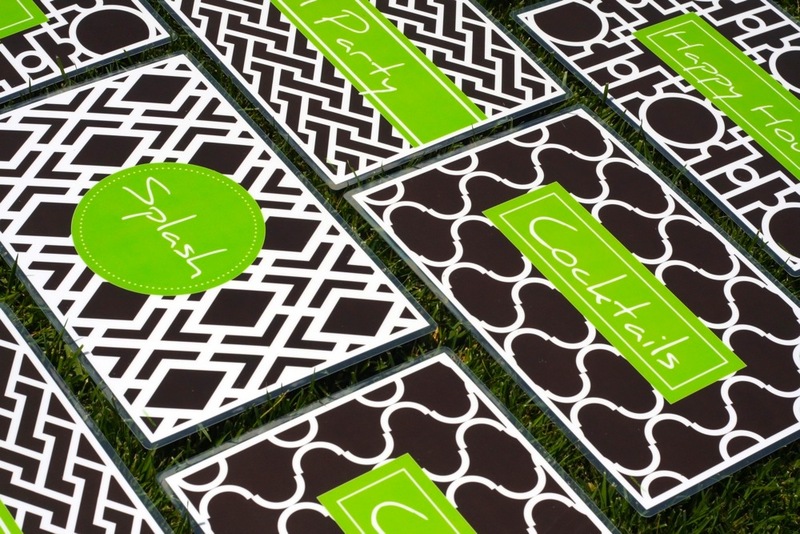 The preppiest placemats add a pop of color and fun to your dinner table. 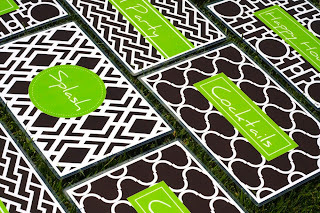 Mattie Luxe is the brainchild of a Mommy of 3 who saw a need for “hip, fun, stylish place mats that weren't just for kids.” With 35 different designs and a kaleidoscope of colors and personalization options, you can create a personal style statement for any table. The inspiration page on Mattie Luxe is a fountain of ideas! It’s so much fun to see what designs other people have chosen. I'm like a kid in a candy store...with very pretty table candy. 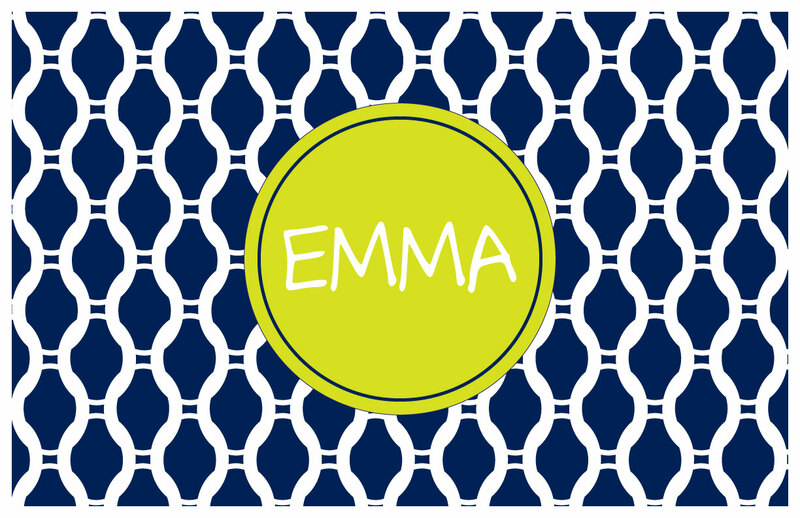 With the holidays just around the corner, you'll soon be thinking about gifts and these placemats would be a fabulously preppy treat for anyone on your list. 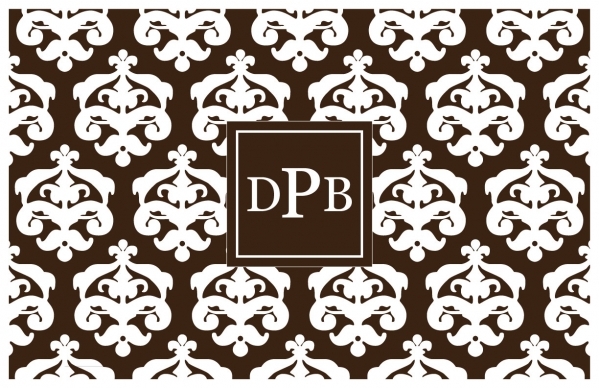 Think Thanksgiving dinner, hostess gifts, teacher appreciation gifts, party favors, or just a special surprise. Mattie Luxe is generously offering a giveaway for Maryland Pink and Green blog followers! 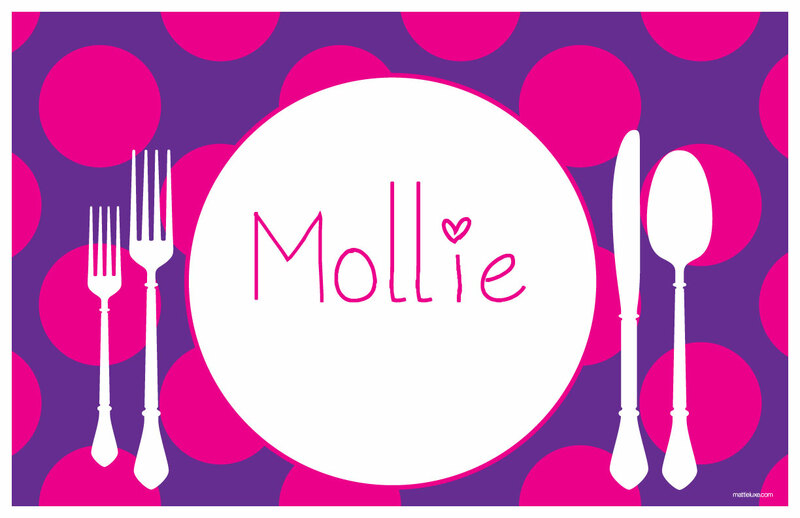 One lucky winner will receive 6 personalized placemats. The winner can choose from any design, color, or font available on mattieluxe.com. 2. Leave a comment on this blog post between today, Tuesday, October 4, 2011 and 11:59 p.m. on Wednesday, October 12, 2011. A winner will be announced on Thursday, October 13, 2011. 3. 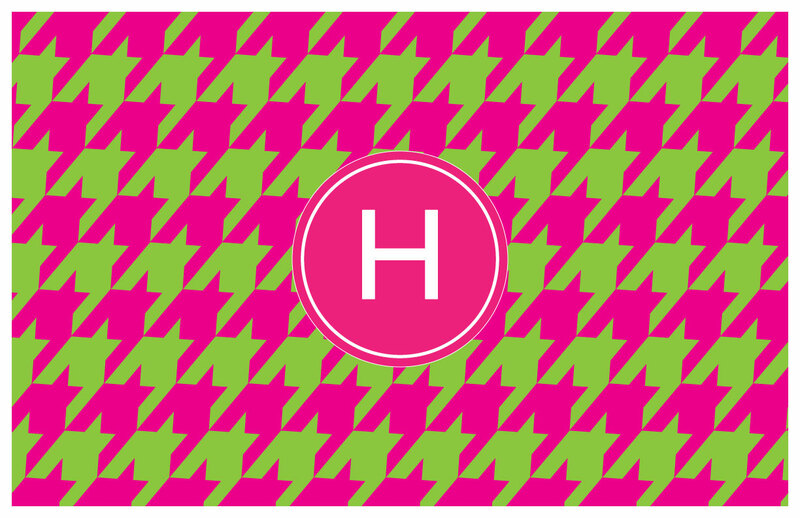 Follow Maryland Pink and Green on Facebook. 4. Share the link to this giveaway on Twitter with a reply to @mdpinkandgreen. Leave an additional comment with a link to your tweet. I love the gates design!!!! Gates. I love the gates design. So cute! I love the domino print! Love the whole classic collection but the greek key especially! Also the fancy classic! What a great give away! Would loooove to win! i like the Greek Key in gray!! maybe with blue or green accent color! What a perfectly preppy giveaway! I love the ovals design! I'm loving the orange and navy argyle...very UVa! 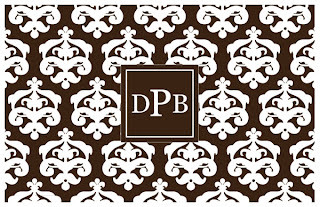 I just found you on Pinterest when I was trying to find placemat ideas! I love all of the placemats at Mattie Luxe, so it was difficult choosing a favorite...but I really love the Mod! 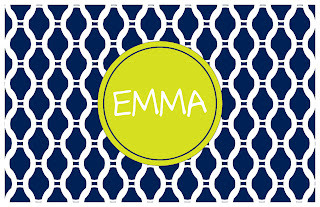 I love the "Let's Eat" and the "Ovals" - such cute placemats. Following you on fb already and am sending out a tweet now! So cute! Follow you on facebook.. I love the domino pattern. I love the Anchors-July 4th print! Hi Bethany ... I love them all! But I think my favorites are "Let's Eat" and "Dotties Let's Eat." So cute! Hi Bethany - thanks for hosting such a lovely giveaway! 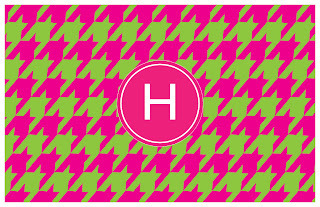 I adore anything under the Preppy collection designs - especially the pink and green argyle pattern! I love the cane design! Reminds me of wallpaper in a friends' parents' house growing up! Love the Fancy Schmancy. Too cute!! I RT you giveaway too, but have no idea how to post the twitter link from my bberry. Hmmmm.